"What do teachers really make?" 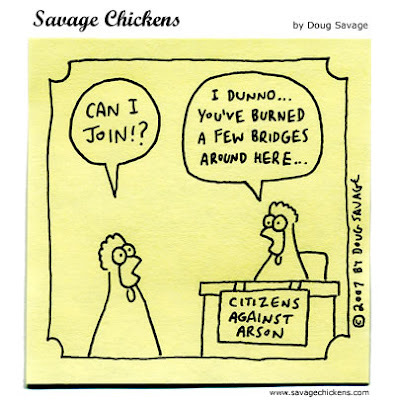 Savage Chickens is a daily cartoon on a sticky note, drawn by Doug Savage. You can get a smile each morning by subscribing to his rss feed. That first link was awesome. Thanks. Right on, Taylor! Spread the word! I love the chicken cartoon on a postit note, clever. More sign gens on www.CustomSignGenerator.com.